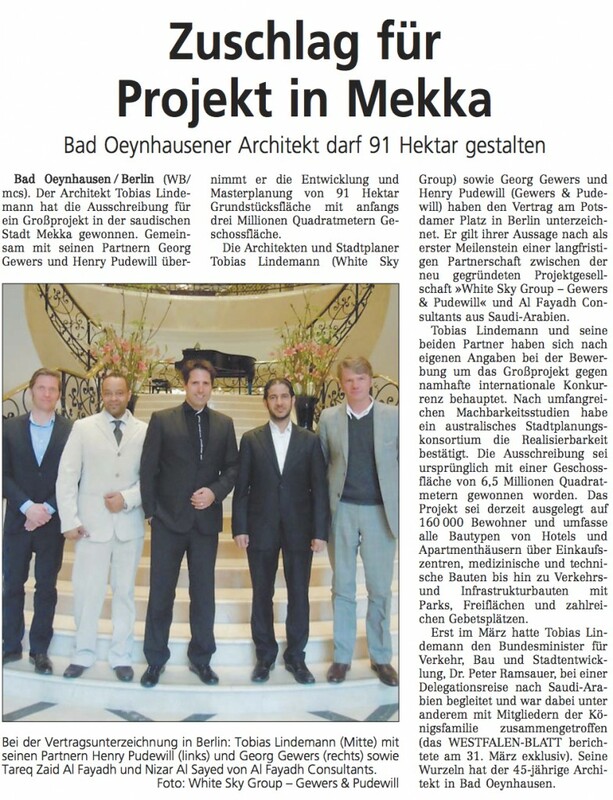 White Sky Group | Gewers & Pudewill signed an important contract with Riyadh based AlFayadh Consultants for the development and master planning of 91 hectares, representing estimated future buildings of 3 Mio. square meters in Makkah, Saudi Arabia. The contract was awarded by Jadwa Investment in Riyadh.